There is speculation that UBI could well be on the list of what the Narendra Modi government also offers voters through the Interim Budget. The defining factor of tightly contested elections is the politics of populism. While a slew of populist measures are expected to rain on voters when Finance Minister Piyush Goyal presents the Interim Budget on February 1, Congress President Rahul Gandhi may have already taken the lead in this competitive populism by announcing that, if elected to power, his government would launch a scheme that will provide a guaranteed income to the poor sections of the country. 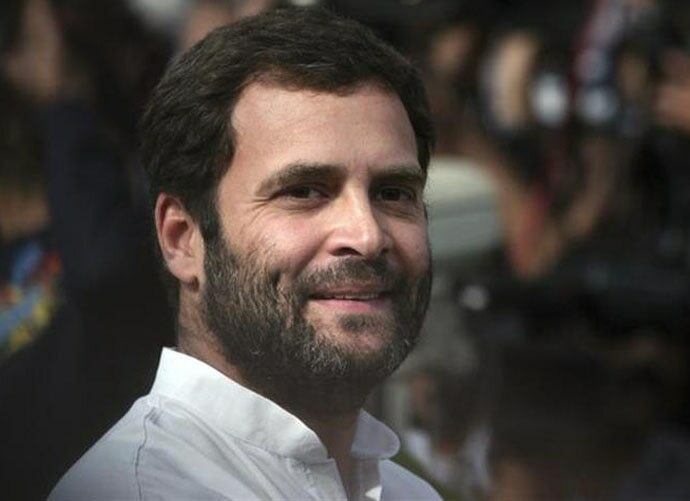 “We have decided that every poor person in India would be guaranteed a minimum income after the Congress forms the government in 2019,” Gandhi told a farmers' rally in the central state of Chhattisgarh. Congress sources say the party could promise an income of Rs 1,500 to Rs 1,800 per month for individuals under a certain economic level. Interestingly, there is speculation that the UBI could well be on the list of what the Narendra Modi government also offers voters through the upcoming Budget. The idea of a universal basic income (UBI) that Rahul Gandhi has promised to implement actually takes a leaf from the Economic Survey 2016-17, which was signed by then-chief economic adviser Arvind Subramanian. The survey said a UBI could well be the fastest way to reducing poverty. The scheme promises all citizens of India enough income to cover their basic needs. According to the Economic Survey chapter Universal Basic Income: A Conversation With and Within the Mahatma, UBI would be easier to administer than the current anti-poverty schemes, which are plagued by waste, corruption and abuse. “Universal Basic Income is a radical and compelling paradigm shift in thinking about both social justice and a productive economy,” the chapter reads. “Conditional on the presence of a well-functioning financial system, a Universal Basic Income may simply be the fastest way of reducing poverty. 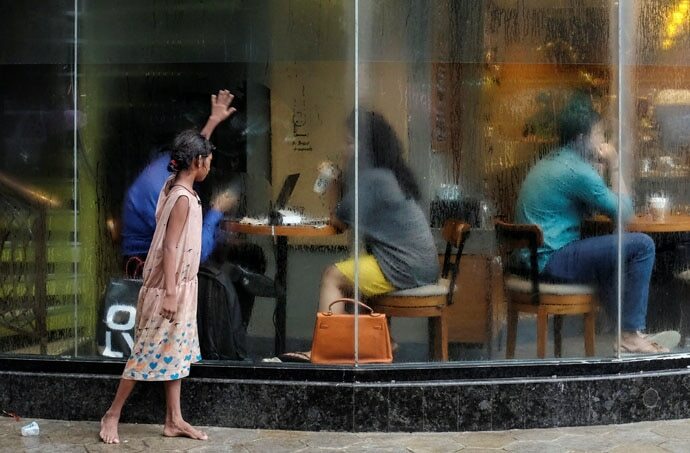 UBI is also, paradoxically, more feasible in a country like India, where it can be pegged at relatively low levels of income but still yield immense welfare gains,” the chapter adds. The Economic Survey said the universal income programme will cost 4-5 per cent of the GDP granting 70 per cent of the population Rs 650 per month. According to Subramanian’s survey report, in 2016-17, centrally sponsored and central sector sub-schemes cost 5.2 per cent of the GDP. 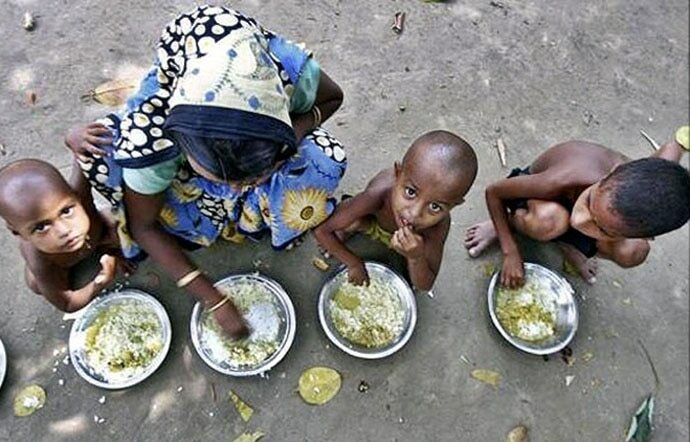 India's 2018-19 food subsidy bill alone is estimated at Rs 1.7 trillion, roughly 7 per cent of the total federal spending. The Budget for 2016-17 indicates that there are about 950 central sector and centrally sponsored sub-schemes in India. If the states were included, the number of schemes would be several orders of magnitude larger. So, what UBI could actually end up doing is to wipe out a lot of the existing schemes and go for a direct transfer of money to individual accounts. Many developed countries, such as Finland and France, are already discussing the implementation of universal basic incomes, much like the system of social security in the US. What works against the scheme? The biggest challenge for the implementation of any scheme in India is the sheer size of the country’s population — 1.33 crore plus people. There is also an argument that UBI reduces the incentive to work. If people are granted a minimum income, despite not working, potential workers could start frittering away their productivity. But given that the levels of the UBI are likely to remain low, if such a scheme is indeed implemented, they are unlikely to crowd out incentives to work. The other argument is that detaching income from employment could be economically and morally problematic — should a society allow people to sit around and earn? Once again, UBI levels are unlikely to offer luxuries; they can at best take care of basic human needs. Observers also point out the potential pitfalls in deciding how such a UBI even reaches the household and to whom such funds could be sent; if sent to a male head of household, for instance, studies argue, this could lead to a further disempowerment of women in society, also potentially impacting investments made in education and savings which women are known for. Such challenges aside, whether or not such a scheme will be introduced in the Budget or offered by the Congress (should the party form a government at the Centre) is something time will tell. However, this is a proposition worth being discussed. Also read: Job Crisis: Data shows BJP govt failed abjectly in creating jobs. Could this cost PM Modi his job?